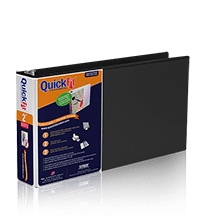 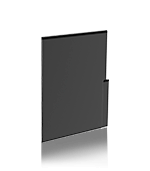 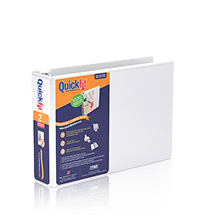 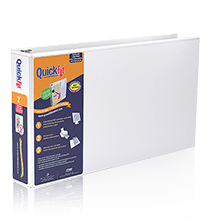 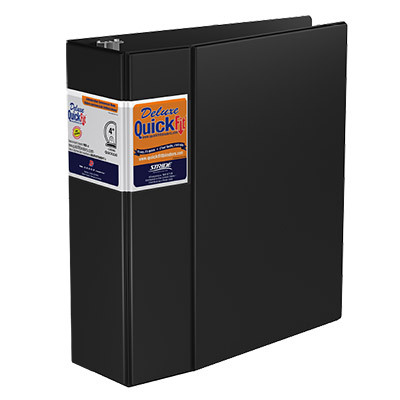 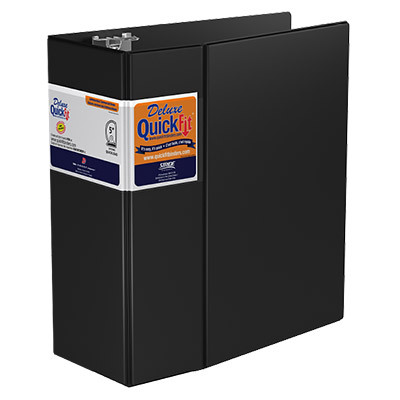 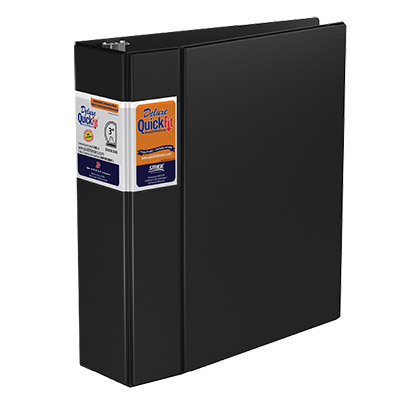 The QuickFit® Deluxe Commercial Binder features a unique space saving design. 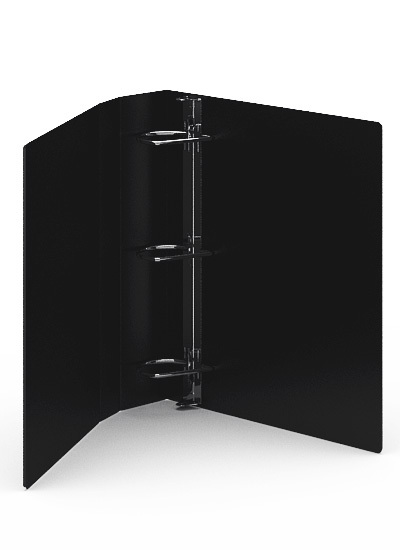 Uses a double hinged cover that takes up less space on a shelf. 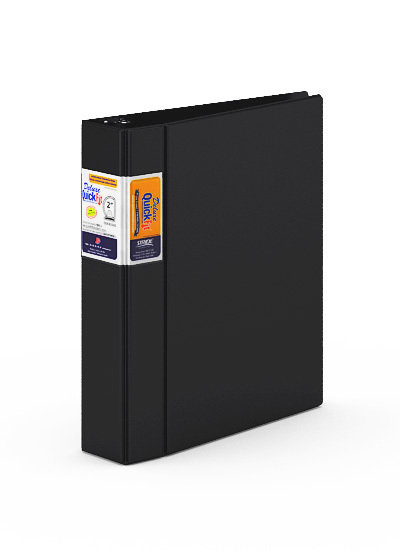 Ink transfer resistant label holder wraps around spine to front cover for quick identification and easy insertion. 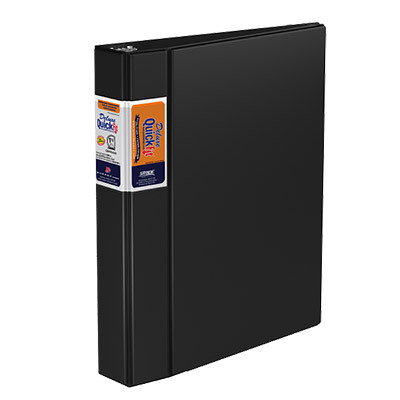 Commercial grade heavy duty construction designed for frequent use. 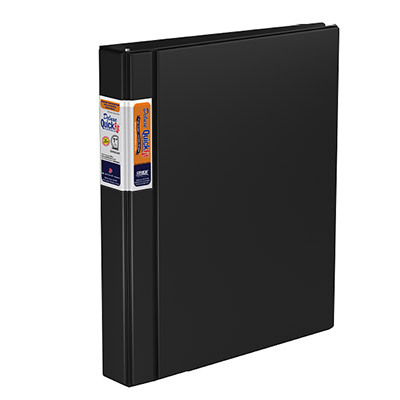 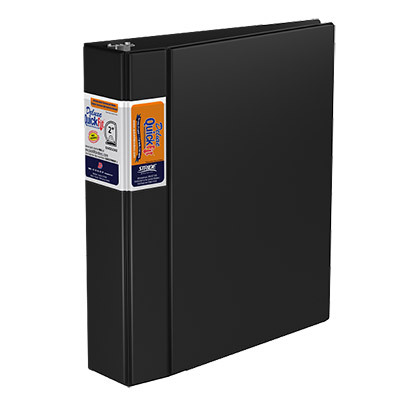 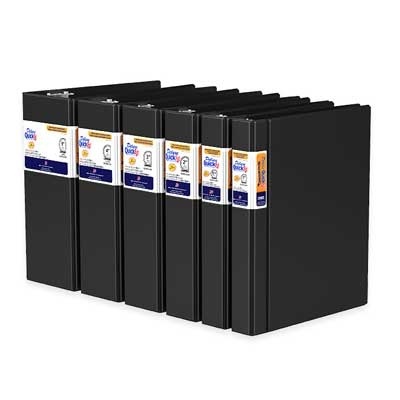 The 4 inch and 5 inch binders can hold up to 650 and 950 sheets respectively.